The Bhote Kosi is known as the River from Tibet and you can begin a rafting trip after a peak over the border into Tibet. The Kathmandu / Lhasa Highway (Arniko Highway) runs along beside the river. You can run a day trip or do a two-days expedition and run parts of the river twice. It's a great trainee river for rafters and fun for Kayakers at all levels. 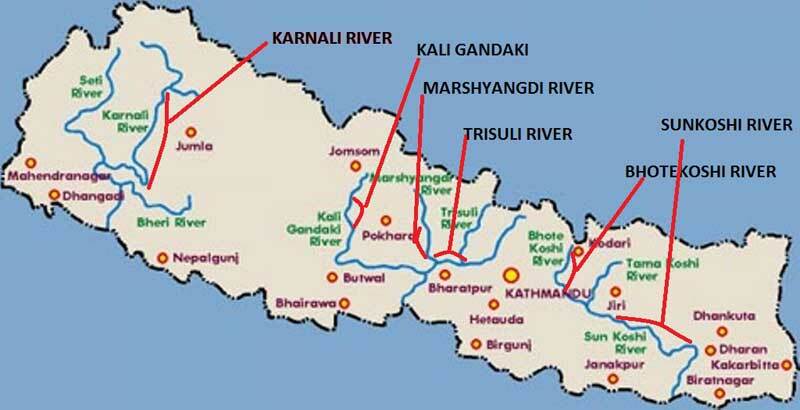 Bhote Koshi is the attractive for adventure trip with very steep and basically non-stop mountain river only 3 hours drives from Kathmandu offering two days of intense and challenging river activity. You are beginning to understand what this great rafting trip in Nepal offers you nothing less than the ride of a lifetime. If you have never rafted before and if you have limited time but wish adrenaline overkill, then this is a perfect introductory trip package for you because of the Bhote Kosi is probably the most exciting short rafting trip in Nepal and best white water venture in the world. Note: Bunjee Jump over Bhotekosi river gorge which is 160M deep. Collect life experience!!! !